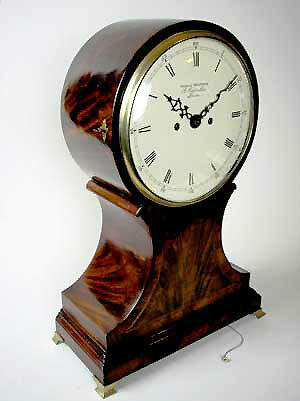 This Regency double fusee balloon bracket clock boasts a step-sided flame mahogany case. 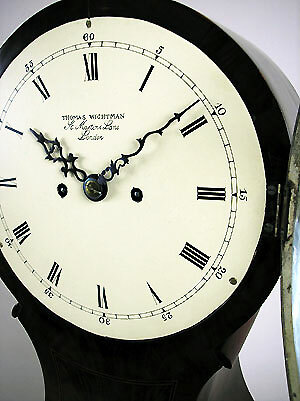 The eight-day bell striking movement has anchor escapement. The 22cm (9") painted dial is signed by Thomas Wightman of London and has Roman numerals for the hours and Arabic for the minutes. 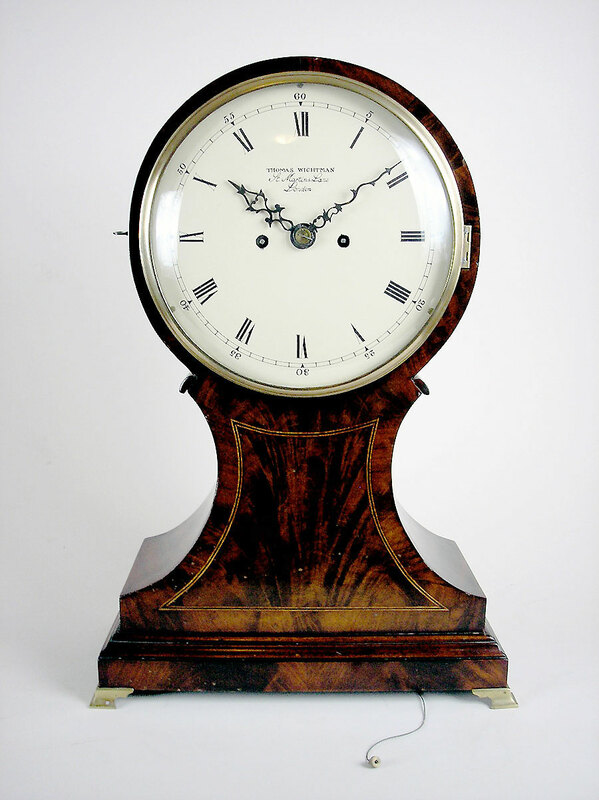 This unqiue clock has original serpentine hands, a cast brass bezel with key lock, plus satinwood and ebony stringing at the front of the base. 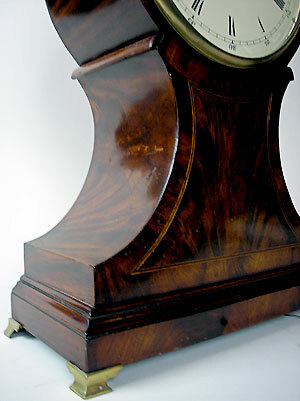 The clock is raised on brass bracket feet.